I love that verse because it summarizes the two complementary (and sometimes competing) parts of our purpose. There’s a mission to accomplish. Paul reminded them that they had shared God’s Good News. But there’s also life to be shared. Paul highlighted how they had time to share their own lives even as they were carrying out the mission. No one can do ministry alone and a healthy ministry team usually leads to a healthy church. However, in order for a church staff to be effective, they must focus on both health and performance. I have walked into a number of churches where the focus was on performance while health was neglected. I can tell you how that story ends. For a season, the church will have great Kingdom impact. Many will hear the Gospel. Many lives will be redeemed. Eventually, though, the walls come crashing down. It’s only a matter of time. I have also found churches where the focus was solely on health with little regard for performance. Everyone loved each other and enjoyed sharing life together, but very little was happening to spread the Good News and make disciples of Jesus. There was no urgency. There was no sense of stewardship for the mission God has given his church. Fortunately, I do encounter many churches that understand the value of both carrying out a great mission and sharing life, which results in healthy team dynamics. It’s possible to have both. Let me share some of the foundational principles that will allow your team to experience this as well. Form really does follow function when it comes to staffing. You shouldn’t staff around people. You need to determine your strategy first. Then you can form a structure around that strategy. Then you can find the right people to fill the right roles. You only get the right people in the right roles if you’re effectively considering their strengths and wiring. Culture flows from the top down. Make sure you have the right people in leadership positions. Great leaders build teams and equip others to do the ministry. If you do this right, you’ll end up with fewer, higher-capacity staff leaders on your team. If your span of care is higher than seven, you have a span of care issue, and you need more leaders. To be effective, team members need clarity around what success looks like for their positions. Coach your team members to experience wins. Recognize gaps in performance, and give them the chance to improve. Build a culture that prioritizes accomplishing a great mission while also maintaining discipline to protect the health of each person’s soul. Without a healthy team, you’re hard-pressed to experience healthy ministry. If you’re looking for more insight and direction around these principles, check out my Leading an Unstuck Church Course. We dig deeper into these eight principles with discussions and exercises to help you implement them into your team. 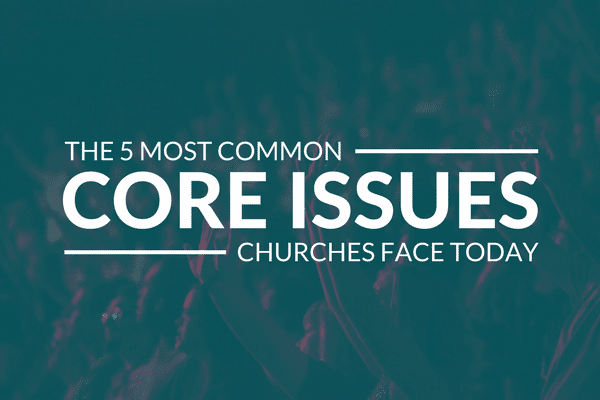 Not to mention… this course equips you to win when you inevitably face the 11 the other core issues we see getting churches stuck at various points in their lifecycle. This online course provides coaching, discussion questions and exercises that will help you and your team take your next steps towards growth and health. We hope you’ll join us!